Jazz is an ambitious musical form by nature, and the Monterey Jazz Festival on Tour exploits that to the fullest, teaming musicians who in some cases have never worked together before, and asking them to perform more than 40 shows all around North America. It’s not like a one-off all-star jam of the sort that gives any jazz fest a unique spark. The tour’s featured vocalist, Dee Dee Bridgewater, pointed out during a recent interview that she — or any of the other high-caliber musicians on this jaunt — would not be content performing the same songs night after night. So not only did the players have to get to know each other, they also needed to learn a lot of material before shoving off earlier this month. The upside is that unlike a jam that occurs at the Monterey Jazz Festival itself, the tour offers room for growth. “At some point we’ll realize we’re an actual band. We’ll have a sound. 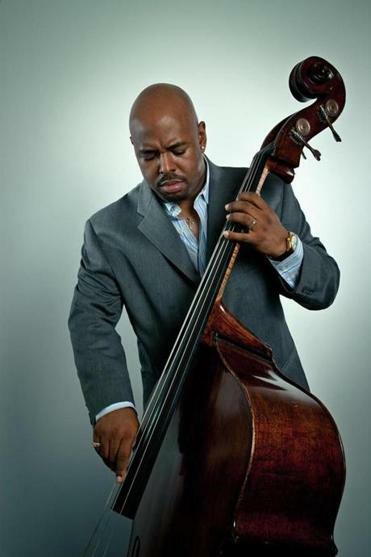 We’ve all been learning from each other,” says bassist Christian McBride, who is serving as the tour’s musical director. Monterey Jazz Festival on Tour will be at the Berklee Performance Center on Thursday. 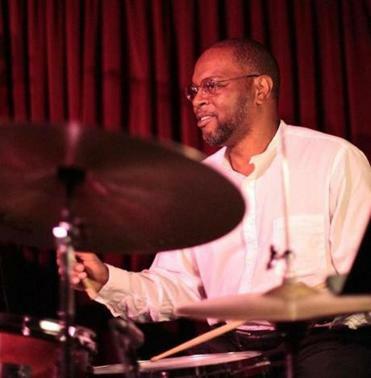 In addition to Bridgewater and McBride, the touring band has drummer Lewis Nash, piano player Benny Green, saxophonist Chris Potter, and trumpeter Ambrose Akinmusire. California’s Monterey Jazz Festival started in 1958, a few years after Rhode Island’s Newport Jazz Festival began, and has run every September since, giving it the record for continuity. The festival now includes year-round education initiatives (including a partnership with Berklee College of Music) and artist-in-residence programs. The Monterey festival launched a touring component to celebrate its 50th anniversary in 2007. This is the third time Monterey Jazz Fest has put a show on the road. McBride says Jackson charged him with making sure each stop on the tour is dedicated to the history of Monterey or its signature artists. “That legacy includes Billie Holliday, Dizzy Gillespie, Dave Brubeck, so it’s an easy job for me to find material,” says McBride, who along with Nash just happened to work with Bridgewater on her 2010 Grammy-winning recording of Holliday songs. McBride says using jazz’s past as a springboard suits him, noting that those always wanting to find “the new thing” are actually missing out. McBride is certainly not an artist stuck in the past; he’s too busy to get stuck in anything. During the break between the two legs of the Monterey Jazz tour, McBride will engage his regular band Inside Straight in a short tour and prep for the release of two new albums. But he is a bit of a stickler about purity. Bridgewater, echoing McBride, assures that the traditions infusing the concerts are getting modern twists simply by virtue of the ensemble’s freshness. All-star bands typically coalesce around instrumentalists, a fact not lost on Bridgewater, who says she is taking advantage of her unique role. Even though the tour allows Bridgewater the chance to scale back to some raw skills, she knows the strong suit she needs to play as well. Bridgewater tells a story about Akinmusire — a brilliant young player who turned in a fierce set with his band at last summer’s Newport festival — fretting early in the group’s formation about fitting in with the others.